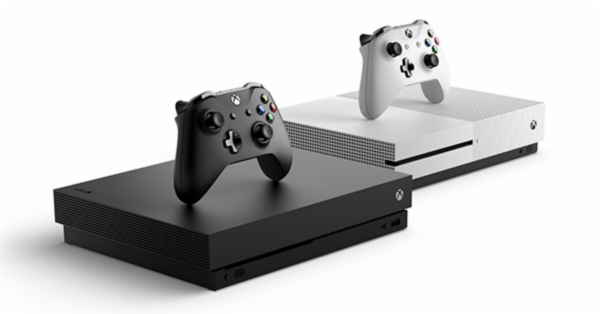 The Xbox One was hailed as one of the most powerful; console ever made but the inopportune grouping of Microsoft’s initial business decisions and market positioning has put it a not so good condition five years after its launch. It has an efficient high-end controller, backward compatibility, robust catalogue subscription service, impressive power and is impressively quiet in its working. But if you agree with me that it is the games that define the quality of a game console, there are very few strong and compelling reasons for you to buy an Xbox One X in 2018. If you are a game freak and own a gaming PC you already have access to most of the exclusive games on Xbox One X. And another place where the Xbox is on the back font now is that the PS4 simply has an upgraded slate of games across many trending genres. For Xbox fans, it is quite unclear that what will the next iteration of the game console bring for them. If we analyze its approach to the Xbox One X, Microsoft’s next version may bring raw power to the front, as well as a repetitive series of macho-leaning franchises in the single-player and multiplayer groups. And its recent studio purchases point towards a more varied lineup of exclusives in the coming years. In the case of the Xbox One X, games are able to run with 4K/HDR visuals; the PlayStation 4 Pro offers a slightly less impressive but similar visual boost. If you have recently bought a super high-end 4K/HDR TV and want to test its capabilities the Xbox One X is your finest option when it comes to gaming. If we talk about the price the PlayStation 4 costs 400$ while the Xbox One costs 500$. Games- Sony's PlayStation 4 has more games you can enjoy than the Xbox One X. From the "Uncharted" to "The Last of Us" and "Bloodborne, Sony PlayStation 4 has it all. It even recently launched the "Spider-Man" and "Death Stranding". And all mainstream games like "Call of Duty", "Assassin's Creed", "Madden" and "FIFA" are available both on the PlayStation 4 and the Xbox One. The problem of not having enough exclusive games has been Microsoft’s biggest issue in recent years. There's "Halo" and "Forza," and "Sea of Thieves" and "State of Decay 2," but it doesn’t match the standards of what Sony's PS4 offers. For the time being one thing is very clear that Xbox One X has lost this generation, and it’s up to Microsoft that how it spins things in it's his favour now.